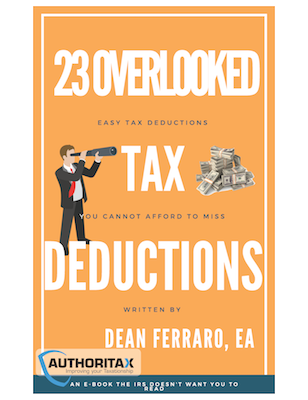 In this informative book, Dean Ferraro, EA will reveal tax deductions you can implement right away to save on your taxes now. This book is a great value to any small business owner, wage earner, or landlord. You'd be surprised how simple it is to save so much on your taxes. Dean Ferraro, EA has been helping taxpayers for a long time. He specializes in helping small business owners, landlords, and innovative retirement strategies.